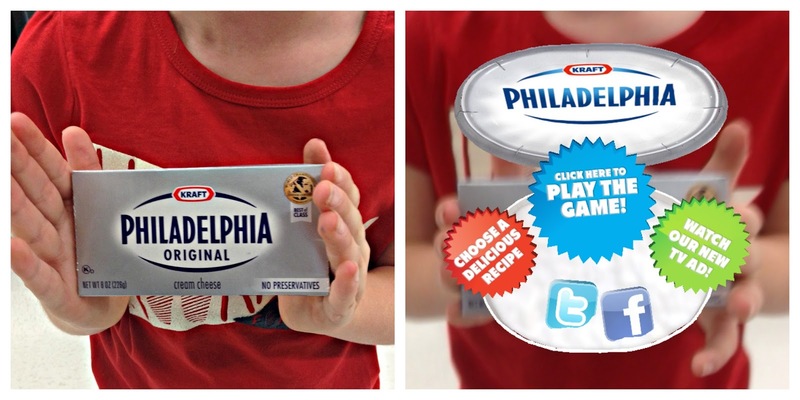 Lunchbox Dad: Grocery Shopping is Fun With KRAFT and the Blippar App! 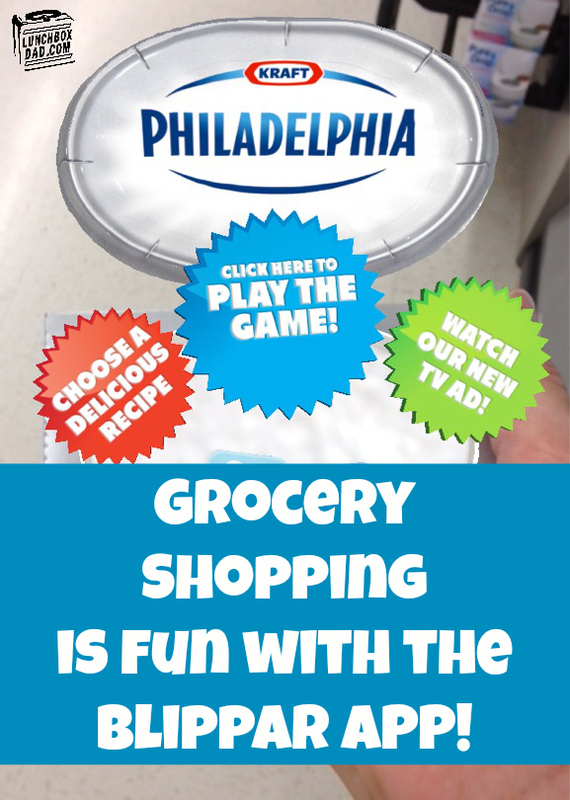 Grocery Shopping is Fun With KRAFT and the Blippar App! I don't normally use the words "grocery shopping" and "fun, efficient, and entertaining" in the same sentence. However, KRAFT and the Blippar app for smartphones and tablets helped me to adjust my thinking. I wanted to write this post because I love talking about products and tips that help make parents' lives easier. This is one of those products. Blippar is so easy to use you don't even have to be a "techy" to use it. It can even entertain your kids while you wait in those lines to checkout! The first thing you need to do is to download Blippar to your phone or tablet. It is absolutely free so no need to worry about spending money on an app you haven't used yet. I downloaded the app before I went to Walmart to shop for the KRAFT cheese I needed. Once I was at Walmart all I did was open Blippar and it automatically started searching for items to "Blip," or scan. The first ingredient I needed was Philadelphia Cream Cheese. I used my phone's camera to scan the top of the cream cheese container and the app went from showing just the package to opening up a whole new interactive experience. The picture below shows the transformation that I saw once I scanned the cheese. Once the menu that you see opened for me, I was able to click on the screen to see tons of recipes to use with the cream cheese, watch a video for it, or even play a fun game. The great thing about the game (pictured below) was that it entertained my kids and showed us what ingredients we needed for certain recipes! The kids even kept asking to play the game when we arrived home. The menu portion of the app was so helpful. If you are ever stuck when trying to figure out what to eat, then the ideas here will be your new best friend. 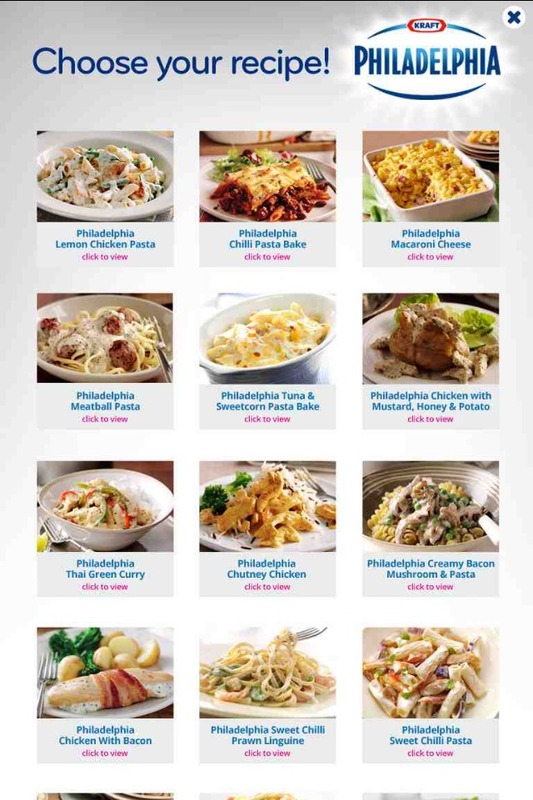 You can keep scrolling down for an amazing selection for even the most picky of eaters. The app will also show you all the ingredients you will need to make the dish. You are already right at the store anyway, so you can pick up whatever you need right away. Of course, I didn't want to stop at scanning just one item so my kids and I had fun scanning whatever KRAFT items we could find. Everything I scanned opened up a new experience. A great feature was that every menu was easy to use, and if I wanted to see something else, I just pressed the back button. 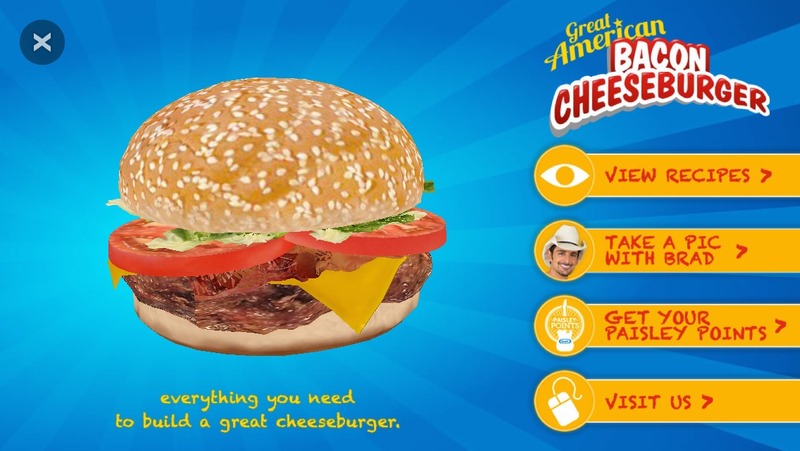 When I scanned the KRAFT singles package, I was shown so many great burger ideas! Right now they are showcasing their Great American Bacon Cheeseburger campaign with recipes I have to try soon. Click here to see the recipe for my KRAFT Outside-In Jalapeno Bacon Cheeseburger, it will knock your socks off! For even more ideas for KRAFT cheeseburgers search #SayCheeseburger on Twitter and Facebook. 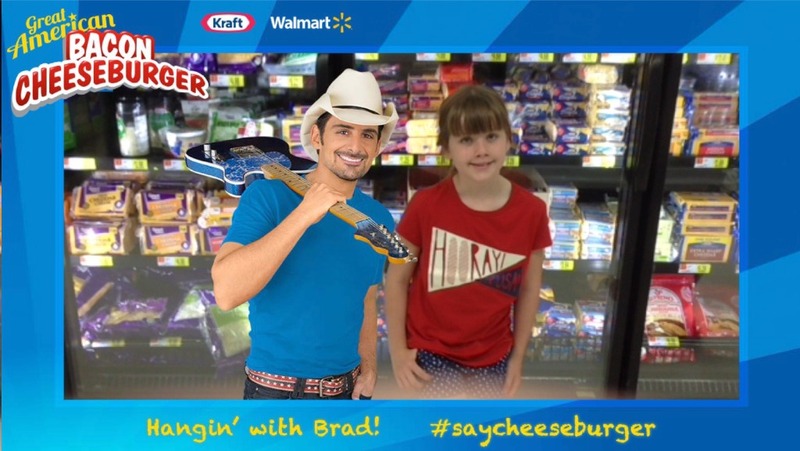 Another feature that my kids were excited to try out was to take a picture with musician Brad Paisley. The app puts you right there with him. Of course, both of my kids wanted to take pictures so make sure you have a little time to get pics of Brad and your whole family. It was simple, you just click on the option to "Take a pic with Brad" and then shoot the picture like you would with your regular camera app. I even got "Paisley Points" for signing up for his rewards program. It just took a second to do through the app using my Facebook account. Using the Blippar app really enhanced my shopping experience but my favorite part was all the recipe ideas with included ingredients lists. This will make my life so much easier because I can have the recipe right there in store with me. Just think, now you don't need to know ahead of time what you will make, just "Blip" your favorite type of KRAFT cheese and the app does the rest. So head to Walmart and start your "Blipping" today, but I must warn you that it is addictive and your family might just discover a new favorite recipe! Let me know what your favorite KRAFT cheese product was to Blip! You might be wondering what I ended up making with the cream cheese. Let's just say that our dessert that night was out of this world. 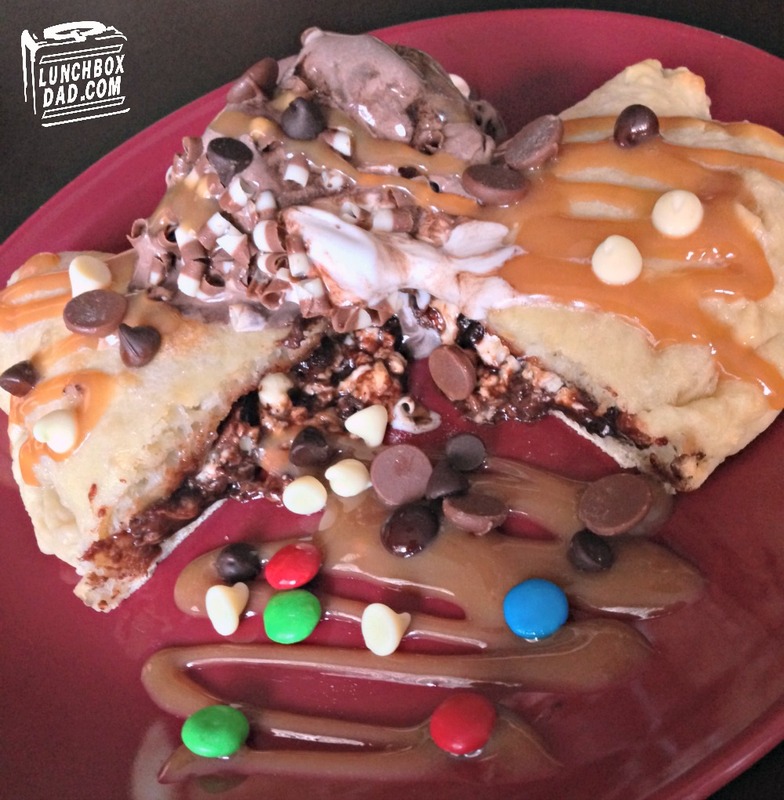 The picture below shows our family's own version of a Chocolate Calzone featuring Philadelphia Cream Cheese! it was so good and the cream cheese put it over the top!